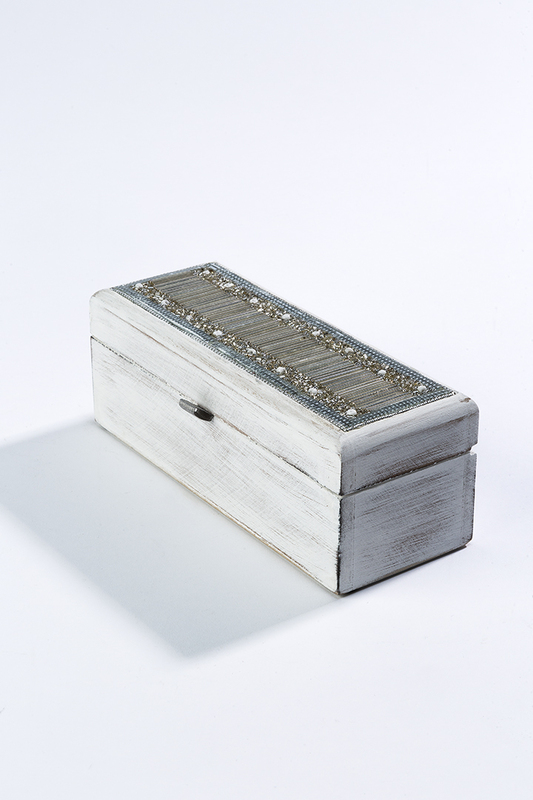 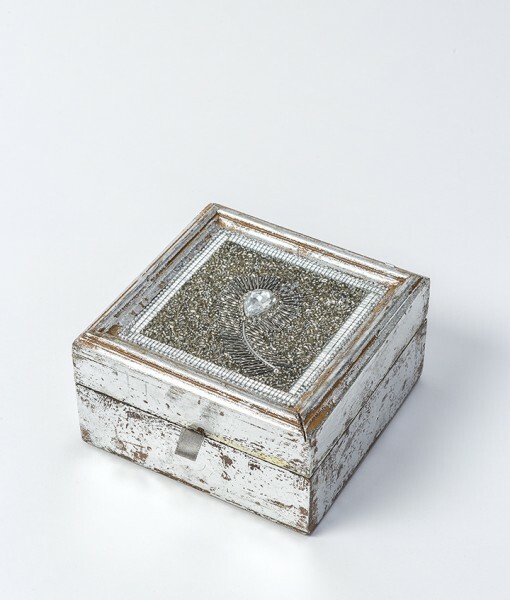 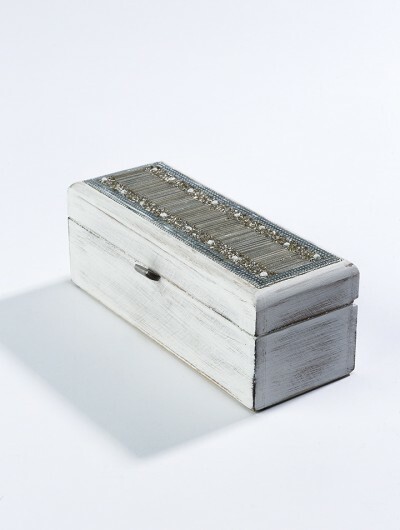 Simply irresistible, this distressed look white wooden jewellery box is finished with elegant beadwork on the lid. 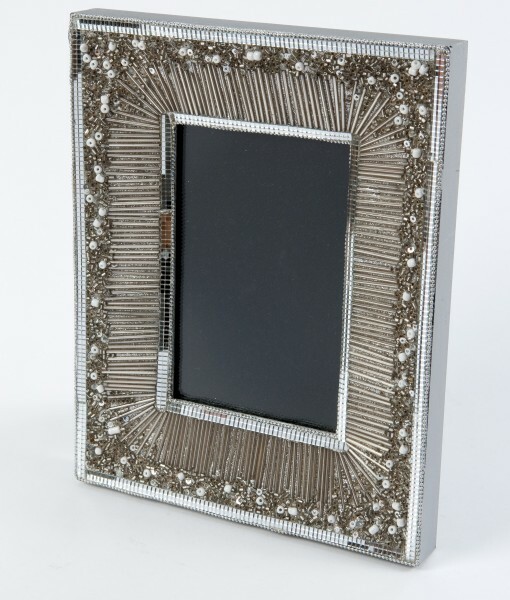 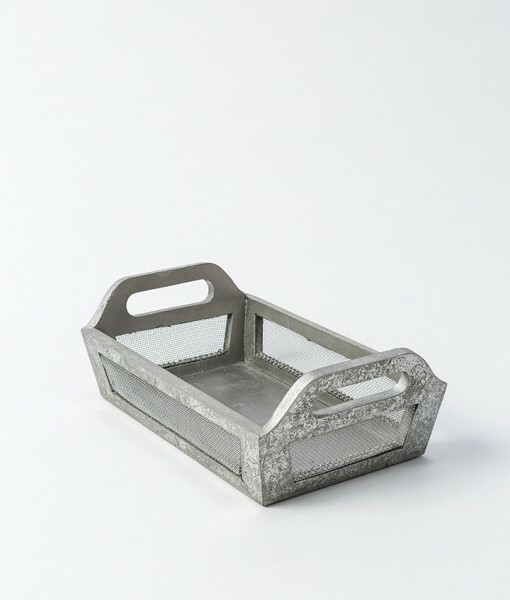 It is well priced and will be a hot favourite with the buyers. 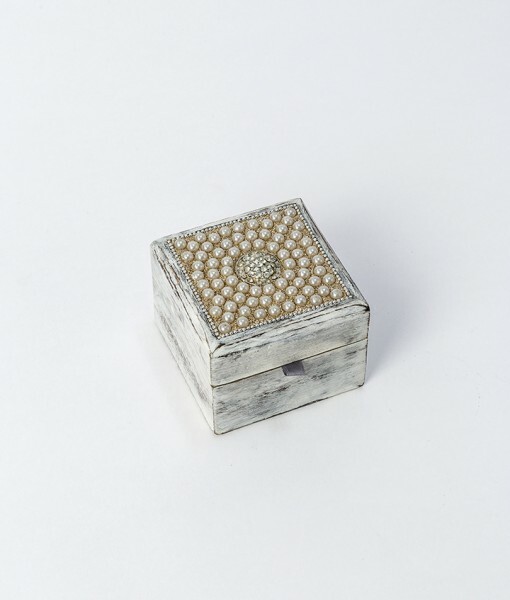 One single order consists of a pack of 6, priced @ £ 5.50 each.